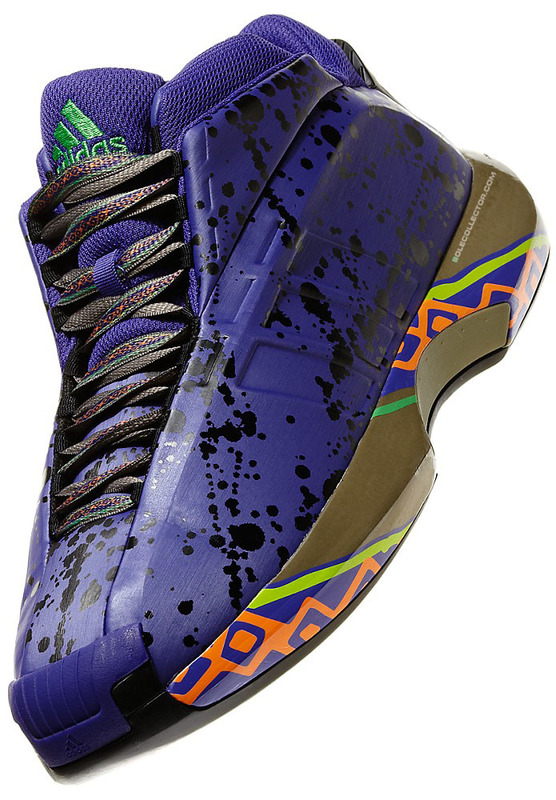 In the 2001 All-Star Game, Kobe Bryant laced up the 'Sunshine' adidas Kobe. Thirteen years later, the shoe returns to All-Star Weekend with a new name and colorway. 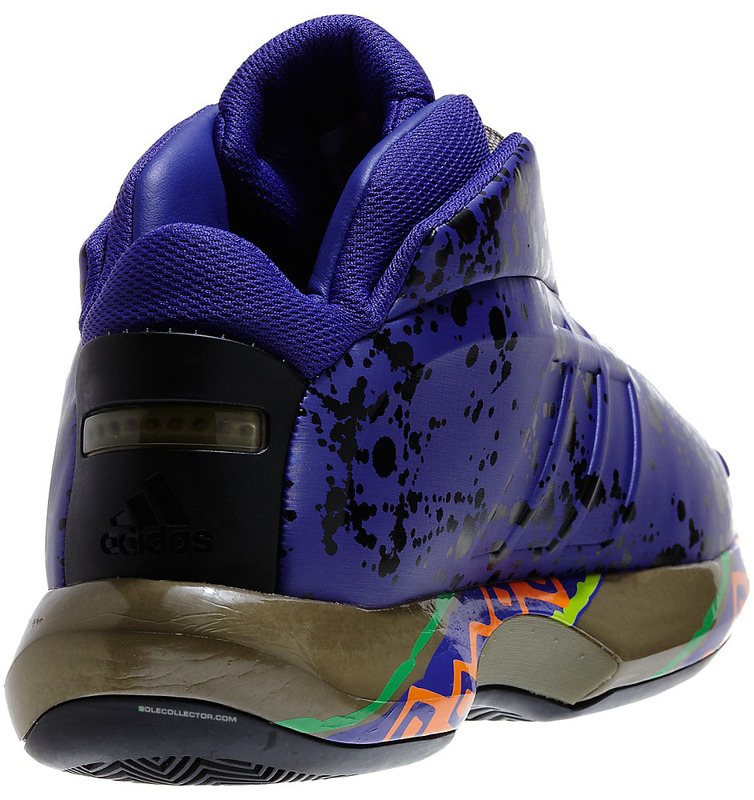 The 'All-Star' Crazy 1 sports a purple molded synthetic base, helped by all-over splatter in black. 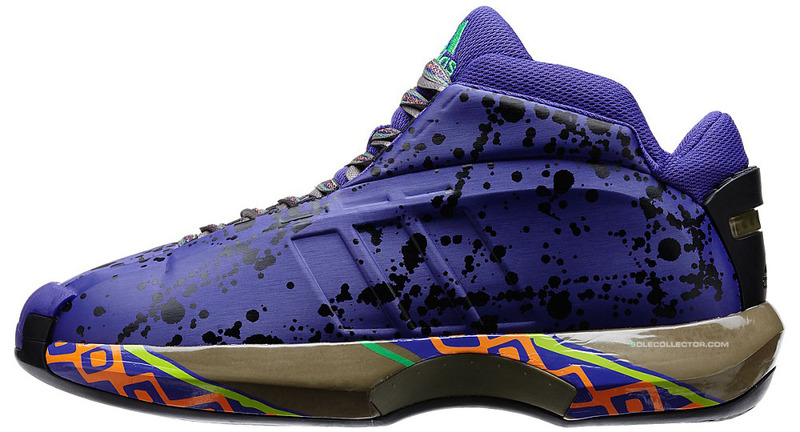 Grey works the laces and midsole, which is accented by a unique multi color print. A green-branded black herringbone sole completes the look. No official drop date for this pair at the moment, but we can obviously expect a release within the next month or so.